When this card enters play at a Problem, players can't confront that Problem that turn. 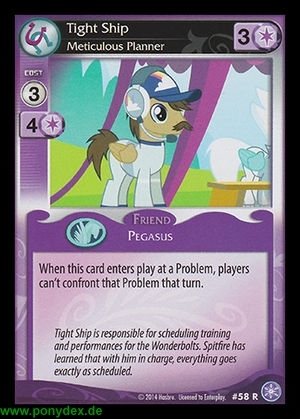 Tight Ship is responsible for scheduling training and performances for the Wonderbolts. Spitfire has learned that with him in charge, everything goes exactly as scheduled.